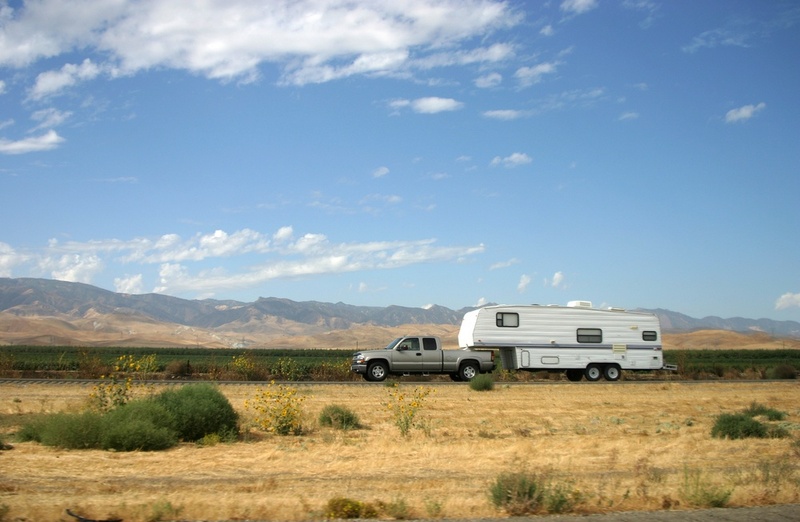 Whether you are moving or going on a road trip, or even just require a trailer for your work, it is important to be aware of trailer towing safety. There is a right and a wrong way to attach and operate a trailer, and many different pieces of the puzzle to consider when doing this for the first time, or if you need a refreshed and haven’t done so in a while. One of the more common mistakes truck owners make is not checking the weight of the trailer to see if their vehicle is capable of towing the correct amount. If you attempt to tow a trailer that’s weight is greater than the maximum recommended for your vehicle, it is a disaster waiting to happen. You are risking extreme damage to the engine of your vehicle as it attempts to bare a load to great for it’s capabilities. Another common mistake is trying to connect the trailer at the right level. Most people think the right place to attach a trailer to a truck for towing is slightly nosed down, but keeping it at the same level is the best choice. Settling for a connection slightly nose down is only acceptable if you can’t achieve a connection at the same level, as this does not encourage maximum towing capacity. First, ensure you have carefully read the manual of the tow hitch you want to use. Tow hitches come in different specifications; some might fit in perfectly well with the receiving hitch while others try to fit in, but will have a minimal towing capacity. Whichever way, having firsthand knowledge of the tow hitch you have goes a long way to guide you on how to use it. Next step is to align your vehicle with the trailer. In case you don’t have a rear-view camera, please make sure you have someone to assist you here. After this, you will have to check the tires and tire pressure. Be sure your tires are all filled appropriately as this is very important for safety on the road! Then proceed to connect all lug nuts so you can finally connect your trailer wiring to the truck. As you do this, check the lights. This is by far one of the most important things to check. When the lights on the trailer come on, this means the trailer will obey all signals and turns initiated by the truck; so let there be light! You want to check this first in daylight, as discovering your lights aren’t on or don’t work once if it already dark is a nightmare waiting to happen! Once you’re done with all of this, your safety as you tow the vehicle becomes a priority. Start by ensuring you connect safety chains from the trailer to the tow vehicle. Most trailers come with devices attached to their electric brakes which automatically applies the brakes if the trailer disconnects from the tow vehicle. This is an essential safety procedure, so be sure to check if the trailer has this device. It is critical to have a good view of vehicles behind and beside you, so always check your exterior rearview mirror while driving. You should also pay close attention to the yellow lines as you drive to ensure the trailer does not move outside of them. Lastly, remember to watch several cars ahead, as you allow for a safe distance between you and the car in front of you for stopping distance. What is Arizona Lemon Law?